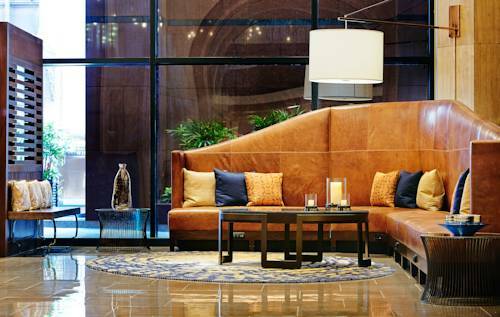 Experience the refined luxury, contemporary style and trip-enhancing amenities of JW Marriott New Orleans. Surrounded by the charm of NOLA's world-famous French Quarter, our hotel on Canal Street is just moments from Jackson Square, the French Market and New Orleans Convention Center. Explore the pubs and eateries on Bourbon Street, or rediscover history at the National WWII Museum. After exploring the city or business meetings, unwind in style during your time in the Big Easy. Our newly reimagined guest rooms and suites boast luxury bedding, marble bathrooms and ergonomic workspaces. Reserve an Executive Level room to enjoy exclusive access to our hotel's new Executive Lounge. Savor seared-to-perfection steaks at Fogo de Ch o, keep your workout routine at our fitness center or take a refreshing swim in our saltwater pool while enjoying fantastic NOLA views. Offering 19 flexible event venues and expert planning services, our hotel is also the ideal setting for business meetings, weddings and special events. Lobby Lounge: Escape the bustle of New Orleans' French Quarter in the refuge of our inviting lobby bar. Offering innovative cocktails, tempting appetizers, shareable plates and satisfying entrees, our lobby bar is the ideal place to relax, meet friends and enjoy.